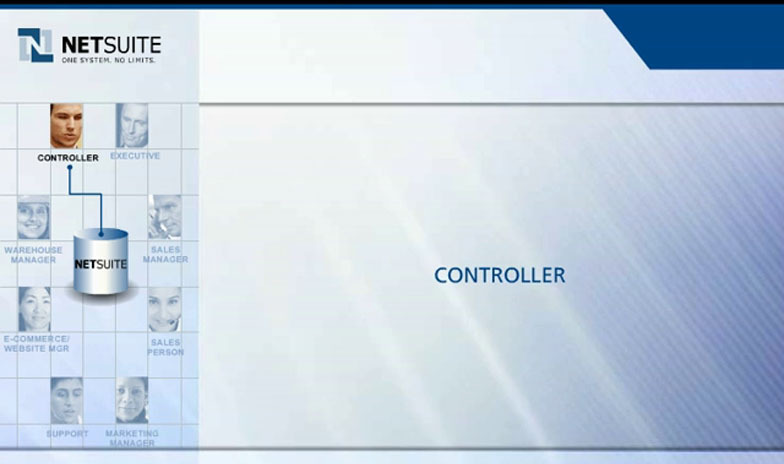 The Controller is responsible for managing the financial operations of the company. It is critical for him or her to keep up with sales, cash collection, accounts receivable, and expenses on the day, month and quarter-end basis. In the past, centralizing across the company has been difficult. Tim Walsh is the Controller at Wolfe Electronics. With NetSuite, Tim is able to manage to financial information while at the same time monitoring and managing functional and operating units in real-time. From his dashboard, Tim can quickly see his real-time financial positions. He sets up the comparisons he likes so he can judge performance at a glance. He has also set up snapshots for key operating areas. When a problem is sighted, or he simply wants more information, Tim can directly drill down into detail. In this case, Tim is checking on a problem accounts in Accounts Receivable. To speed his personal work, Tim can tailor his reports exactly as he needs. Powerful report customization capabilities allow Tim to layout financial statements, sales reports, and profitability analysis to meet Wolfe Electronics’ particular needs. NetSuite has transformed Tim’s finance and accounting group freeing up much of his team from frantic accounting to more strategic analysis and management of the company’s finances. Find out more about how NetSuite gives your finance organization the control and accountability you need and gives your team the tools you can all use for greater profitability.